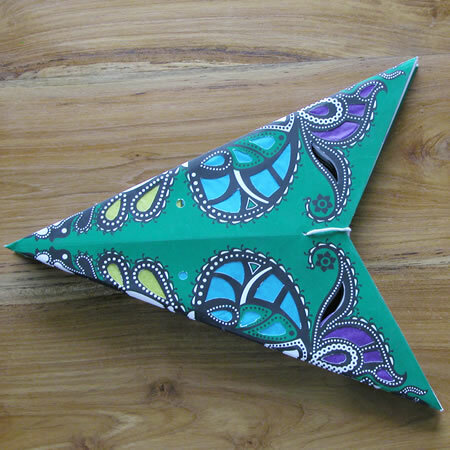 Rich green background with tissue backed paper cutouts in the shape of a lotus and other abstract designs. Glows like a stained glass lantern. Measures 24" across when assembled. Includes complete assembly instructions. 12' electric cord with on/off switch optional for a little more. 40 watt light bulb not included. Handmade in India. Click here to see how these cool star lamps work! 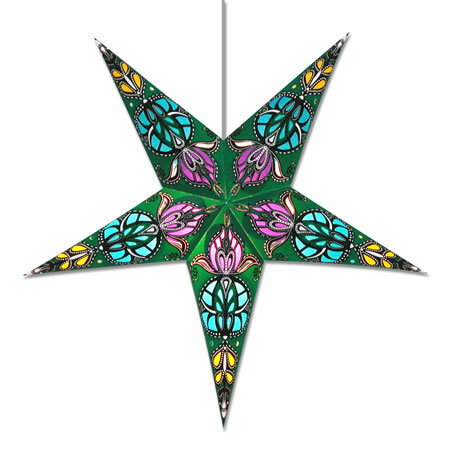 Purple Punch Star Lantern - Also now comes in Red / Red star and White / White star!!!! !